Windows is the most used Operating System from an end user point of view. Next is Mac and the last ofcourse is linux. But this is not the case for a developer. Most of the development forums I've found online for the past so many years have given me results that has dealt fairly equal with these three major operating systems. So, I would suggest to get your hands dirty with all these, if you have not already. If you have a Windows machine at work, buy a Macbook at home, install Linux (best is Ubuntu) on your desktop. Yes, this involves some cost, but trust me, its definitely worth it and you can see yourself well ahead of the curve as a developer. For me, I use Linux at work and Mac at home. I hardly use windows these days but I have used it for a good 10+ years!! Blocks are one of the coolest things to have when you are coming from a language like C++ or Java. Say you are writing a function and you want to have some functionality within it which should be handled totally by the caller. Well, blocks come for the rescue. Say I have a method like this. There is a sweet keyword in Ruby to replace the second line of the test_method called yield. Nothing great if you already are a ruby nerd. But for Java blokes, blocks are something to think for. 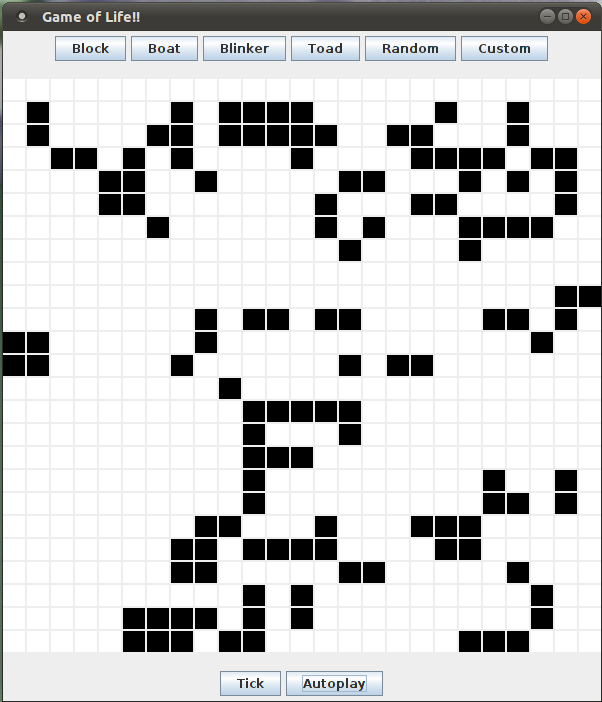 Conway's Game of Life in Java!! I recently met with Conway's Game of Life problem given as a programming assignment by one of the famous MNCs to clear level 1 in interview process. It was so mouth watering that I want to develop an UI for it and publish it in my blog. Spent 3 hours and came up with this. Following is the screenshot and an applet for the same. The Code is free to share and distribute. Visit my github link for this game for the bleeding edge copy.